Bipolar disorder or also known as manic-depressive disorder is a mental disorder that affects the feelings, thoughts, perceptions and behavior. It is considered a lifelong disorder which causes mood to shifts from the lows of depression to the highs of mania. In a state of depression there is the feeling of sadness and lose interest in activities that most enjoyed to. 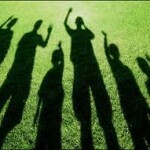 When the mood shift to other side of direction, there is the feeling of excitement and filled of energy. Mood swing may happen only some times in a year or as frequently as several times in a day. In some instances of bipolar disorder, the symptoms of depression and mania occur at the same time. These symptoms may help to control by taking into consideration the natural remedies for bipolar. What are the types of bipolar disorder? Bipolar I disorder wherein the mood swings is cause by having hard time in work, school or personal relationships. The manic period can be serious and considered as dangerous. Bipolar II disorder is not as much as serious of bipolar I. It is characterized by irritability, elevated mood but normally can still hold on with the regular daily activities. In this type of bipolar disorder, the phase of depression usually occurs extensively than phases of hypomania, less serious type of mania. Cyclothymia is the mild type of bipolar disorder wherein the depression and hypomania may be upsetting but the mood swings may not be serious as with bipolar I and bipolar II disorder. Symptoms of bipolar disorder may differ from one person to another and it includes the following. Other signs and symptoms of bipolar disorder may also include the following. Some people with bipolar disorder have seasonal changes in mood wherein they are manic or hypomanic in winter or fall and happen to be depressed in summer or spring. For some people, this is reversed; they are depressed in winter or fall and happen to be manic or hypomanic in summer or spring. Some people that has affected with this disorder experiences the rapid cycling bipolar disorder wherein they have four or more swings in a year. On the other hand, some people have more rapid mood swing that occurs in just hours. Some people may have a serious event of either depression or mania resulting in psychosis. Psychosis is being in lack of involvement in reality. It has fake but strong conclusions or called delusions and hallucinations, things that hear or see that are not there. 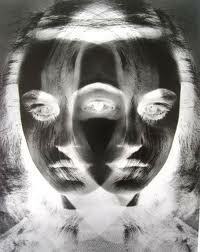 People with bipolar disorder have biological distinction. Imbalance of neurotransmitters, a brain chemical that appears to play an important part in bipolar disorder and other mental illnesses. Hormonal imbalance may also be concerned in causing bipolar disorder. Bipolar disorder is very frequent in people wherein one of the members of their family or relative had with the same condition. Medical experts are still conducting studies of what genes responsible in causing bipolar disorder. Traumatic experiences, stress and significant loss may contribute in bipolar disorder. What are the natural remedies for bipolar? 1. 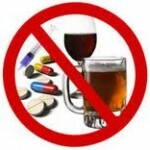 Avoid drug or alcohol abuse. Keep away yourself from using illicit drugs and drinking alcohol. This will just aggravate the condition. If you find hard time in quitting do not hesitate to seek help from medical expert. Encircle yourself with people who have optimistic view in life and have no bad influence that may only cause harmful actions or behaviors that can make the bipolar disorder get worse. 3. Do regular exercise or physical activity. Habitual exercise can make your mood stable. Doing any physical activity makes your brain produce endorphins, a brain chemical that responsible in making you feel good and help you to have a good sleep. 4. Have a plenty of rest or sleep. This is the most effective natural remedies for bipolar. Sleep has a significant role in controlling your mood. Do consult your doctor if you find difficult in getting sleep. 5. 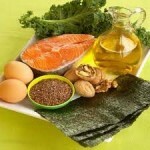 Intake of omega-3 fatty acids. Intake of foods rich in omega-3 can make the function of the brain get better. There are studies revealed that in some parts of the world where people are commonly eat fish rich in omega-3 have small number with bipolar disorder. Yoga may help to relieve depression and mood swings in connection with bipolar disorder. There are also other health benefits you can get in doing yoga. This entry was posted in Anxiety Disorders, Bipolar Disorder, Depression, Mental Health and tagged bipolar disorder, causes of bipolar disorder, natural remedies for bipolar disorder, signs and symptoms of bipolar disorder, types of bipolar disorder on October 13, 2011 by Annaliza.